The concept of “green” powerboats can seem disingenuous if not troubling. Don’t get me wrong. 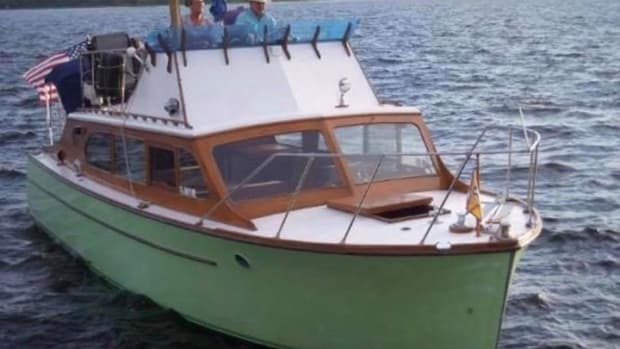 I applaud the rise of fuel-efficient, electric vehicles of any sort, but the standard by which we label things “green,” especially in the boating industry, seems to be more about label than action. 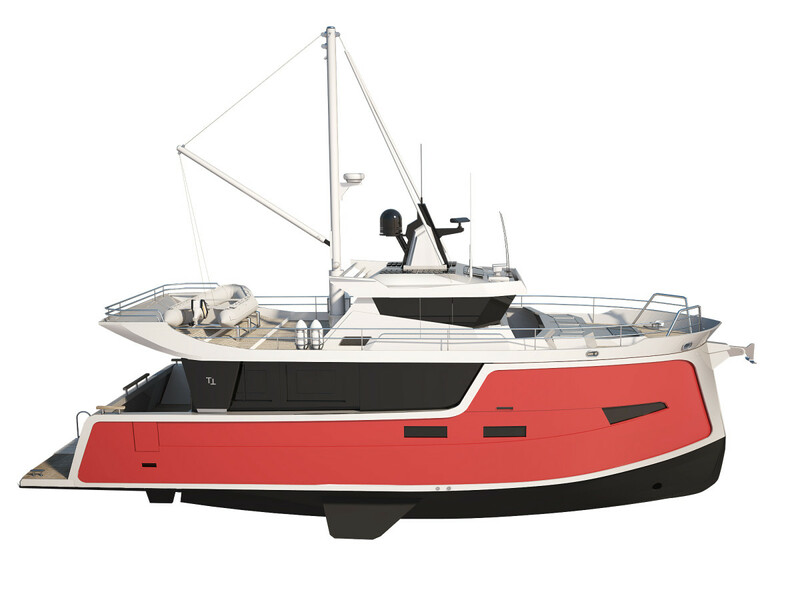 Rarely do you see “green” trawler designs that meet the standards of a passage making vessel as well as a rigid focus on green energy production and application. 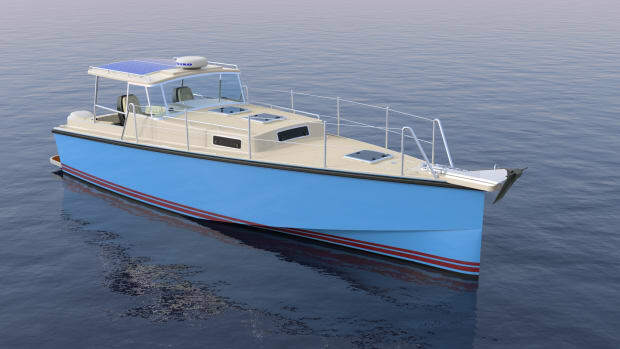 That, however, is not true about the new concept designed by Max Zhivov with the Trondheim 40 electric trawler. 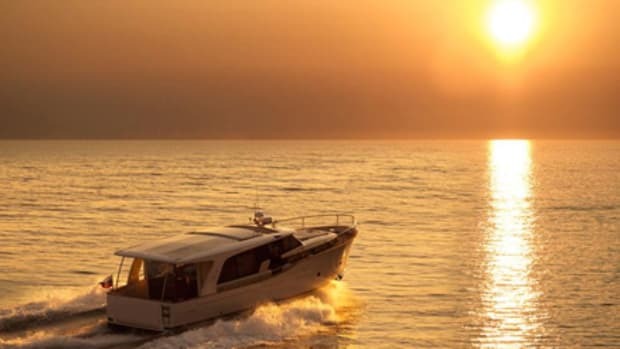 Zhivov is known for designing green and hybrid boat systems that actually push the boundaries of classic yachting and focus heavy attention on being as green as possible. 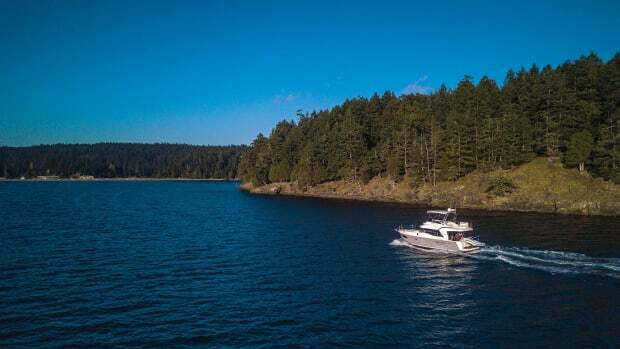 Most impressively, the Trondheim 40 is a purpose-built passage making/expedition yacht, while also having a truly electric focused propulsion system. 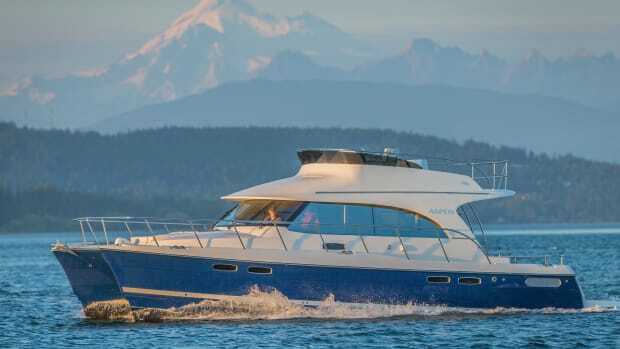 The Trondheim 40 is designed as much for longer passages as it is to handle ill-tempered weather.With two staterooms, a comfortable saloon, and a roomy pilothouse, this looks to be a design that will be at home on coastal trips from the Great Loop to the Inside Passage. Due to the Trondheim’ use of an electric-hybrid system, greater space will be opened up for living quarters and stowage. 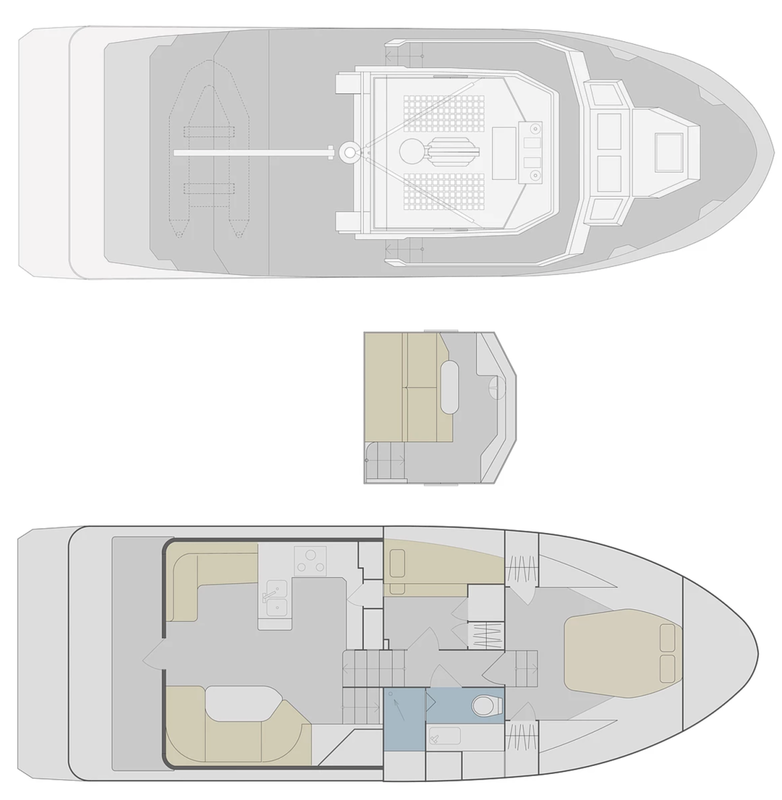 The smaller electric motors and ability to spread out the location of batteries and generators should make for more usable space onboard. The new concept will make use of Torqeedo’s Deep Blue electric-hybrid power system. 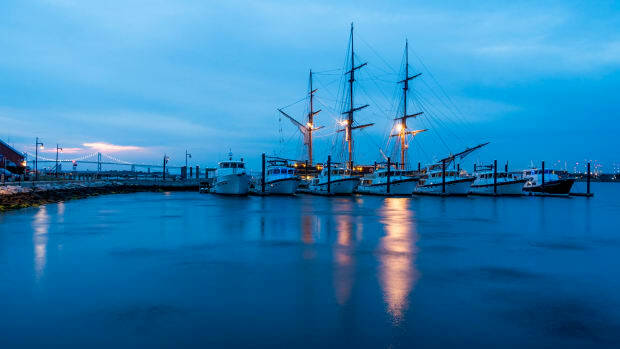 The Deep Blue system is a turn-key propulsion system from power generation, to storage, to electric propulsion that can be easily applied to a trawler re-power or new build. 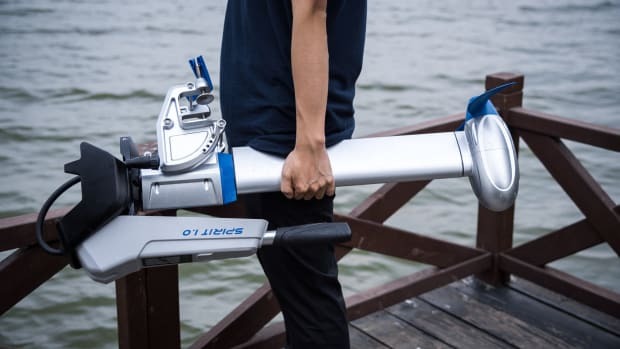 The Deep Blue i 1,400 RPM electric motor is designed to push displacement vessels. Trondheim advertises that the Torqeedo system onboard the 40 will allow for 6 hours of continuous operation from onboard stored battery power provided by two Torqeedo Deep Blue batteries (64 kWh apiece). 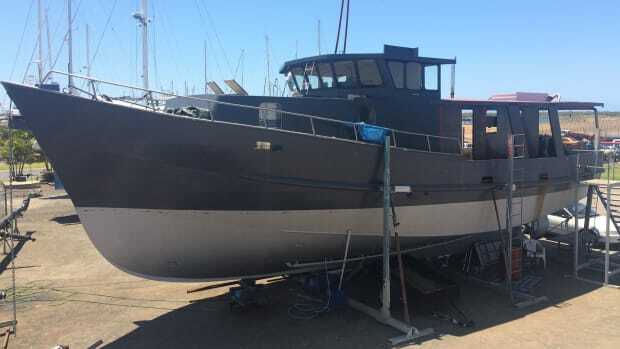 The ability to cruise silently on a trawler will surely appeal to those of us who are retired sailors and miss silently gliding through the water. 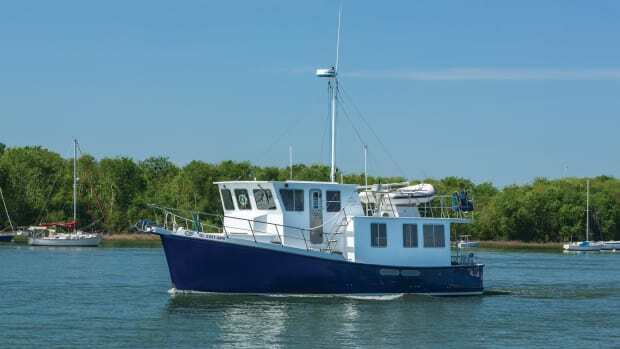 With the addition of diesel generators the Trondheim 40 should be able to travel substantial distances while operating 30-percent more efficiently than comparable 40-footers. 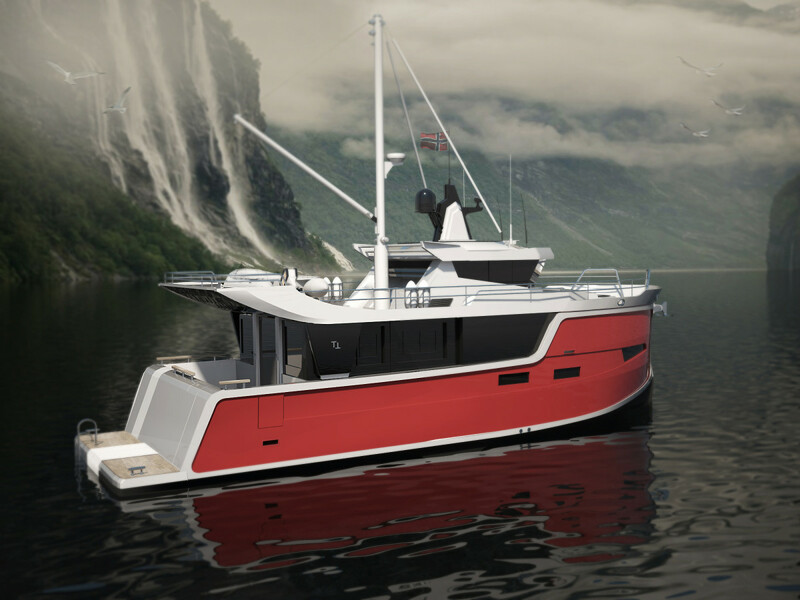 Ifbuilt close to the current spec, the Trondheim will offer owners a real opportunity to cruise a green electric-hybrid trawler. It will be interesting to watch how this design travels from concept to reality with its expected launch in Fall 2017, and we’ll be there to to see if the Trondheim 40 hits the mark.